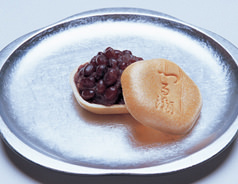 One of our most famous specialities, Mamedaifuku features a delicious combination of rice cake, red peas and mashed azuki bean paste. 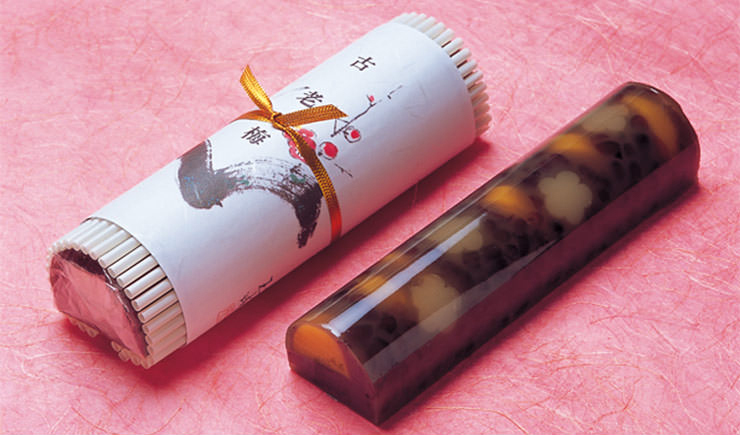 A traditional and much loved favourite. 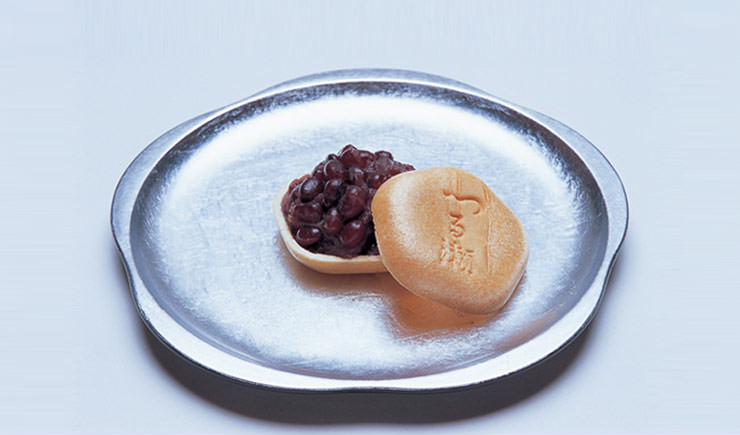 The distinctive flavour of slightly salty rice cake and tasty red peas make Mamemochi a special treat. 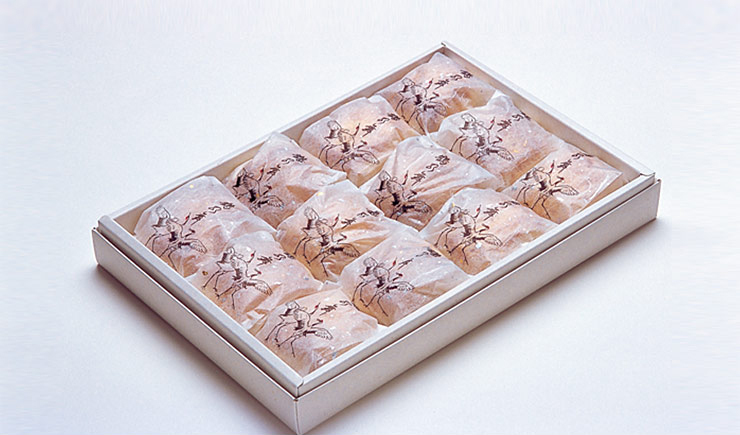 Created to commemorate the 1000th anniversary of the Yushima Tenjin shrine, in 2000, Fukuume represents the white plum blossom that grows there. 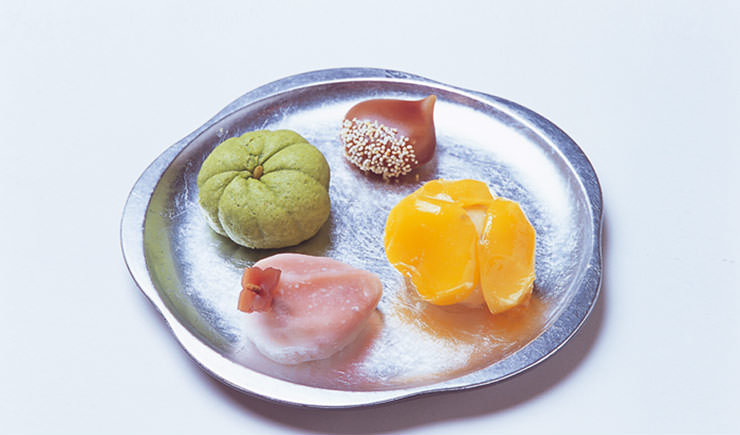 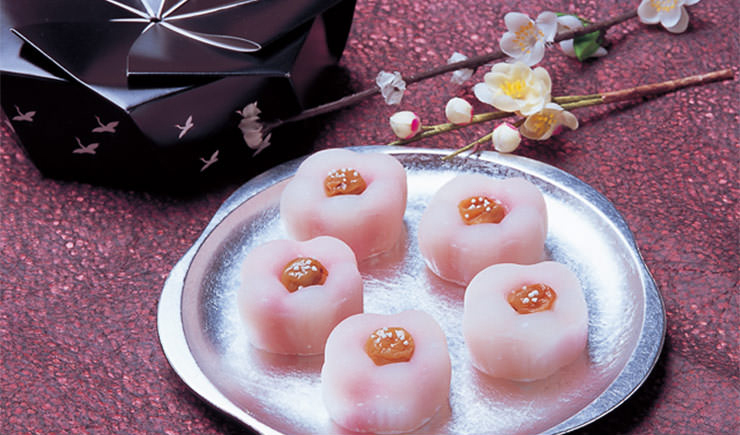 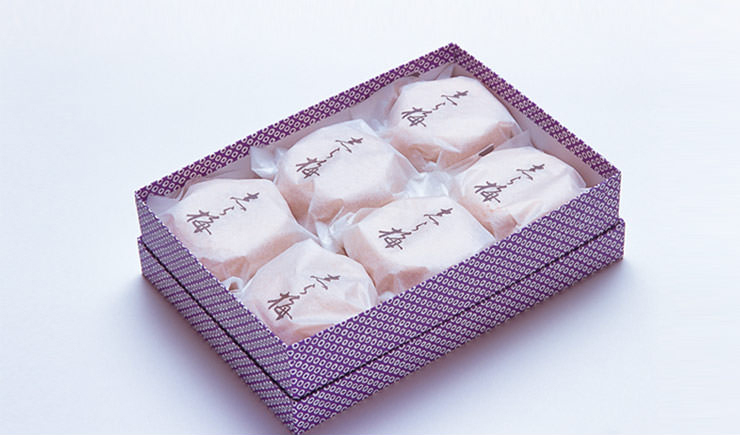 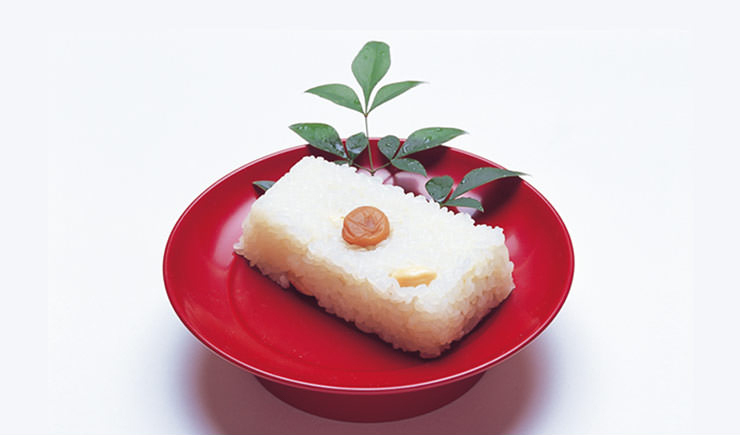 It combines Uiro, a traditional Japanese steamed rice cake, with small umeboshi plums (containing seed), and white bean paste blended with plum jam. 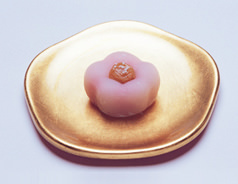 Delicious Musubiume is named after an ancient and auspicious tree which was thought to bring good luck. 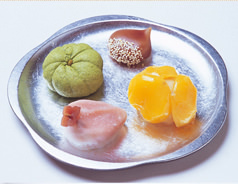 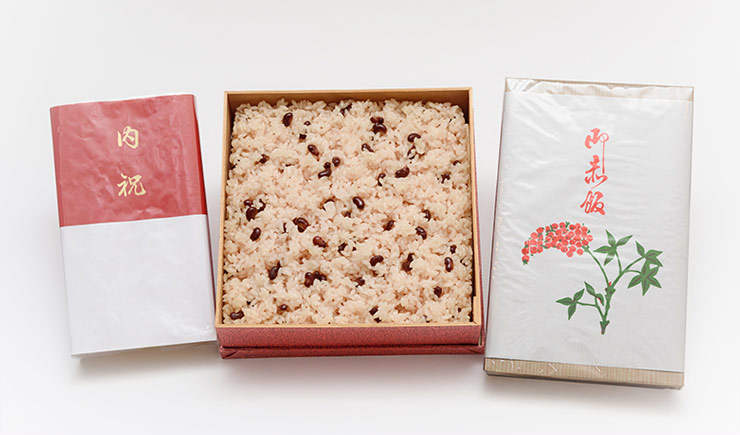 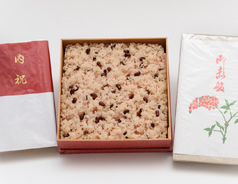 It contains steamed rice, kelp, soya beans, and small umeboshi plums (containing seed). 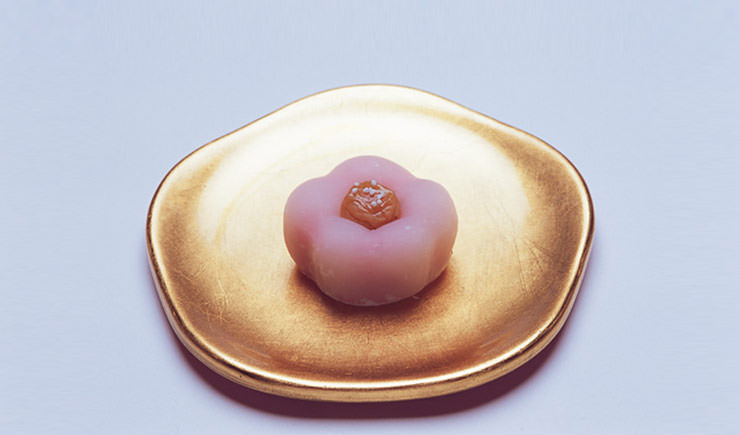 ・Yushimakomachi – Represents the plum blossom in Yushima Tenjin. 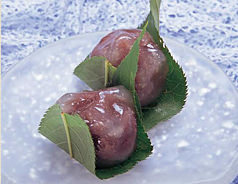 Contains plum compote. 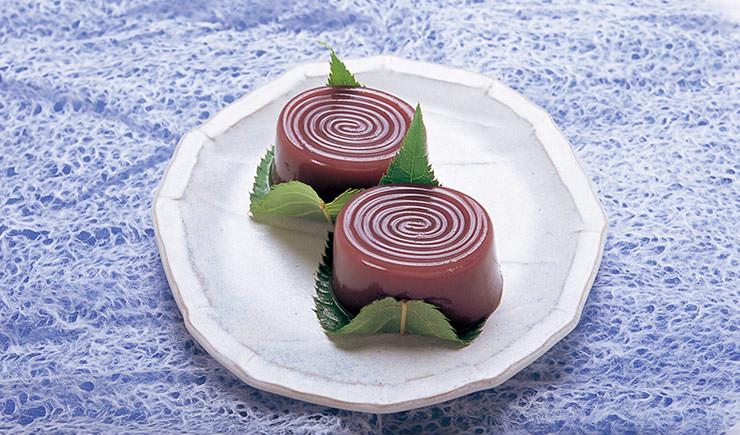 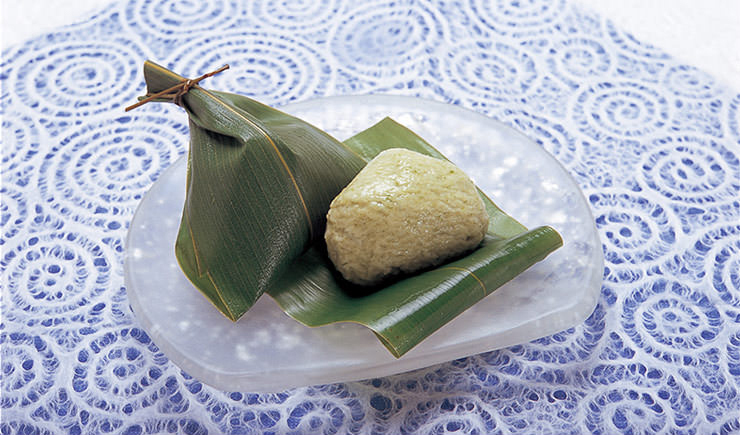 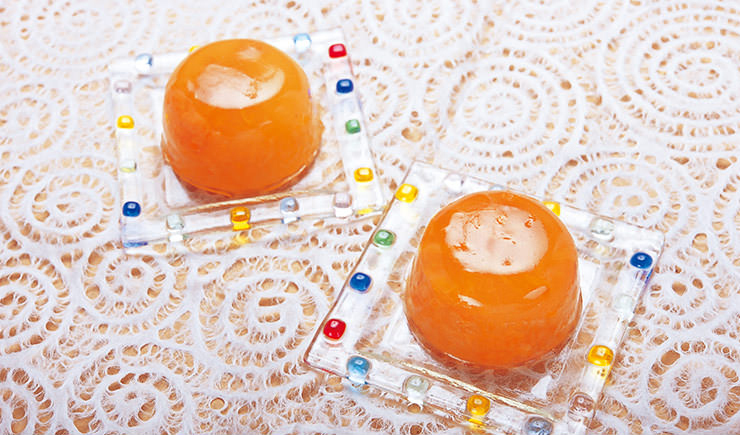 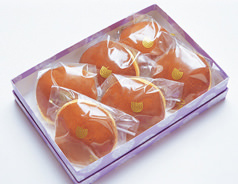 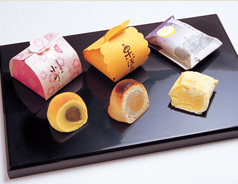 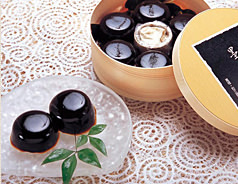 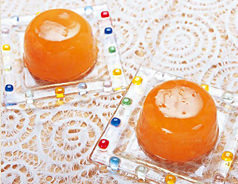 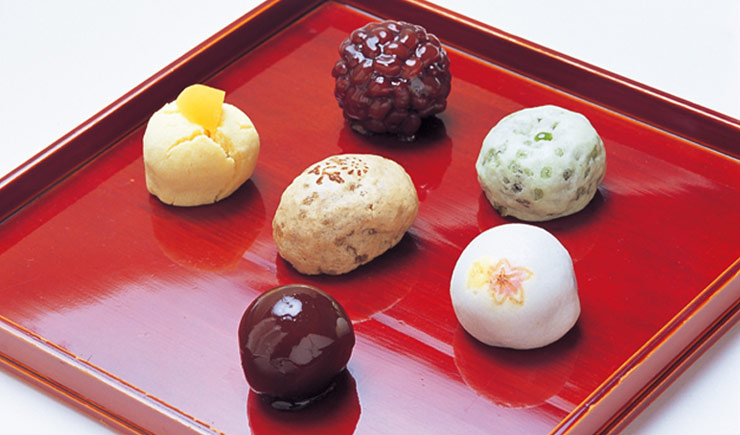 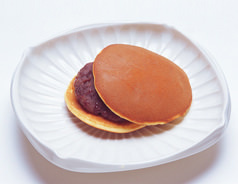 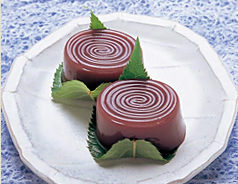 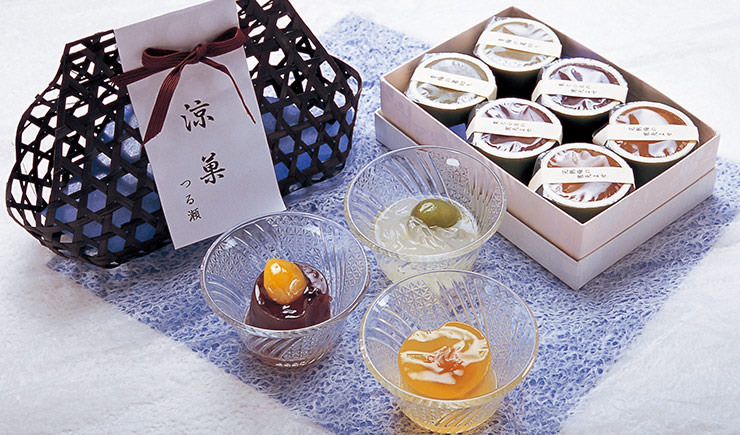 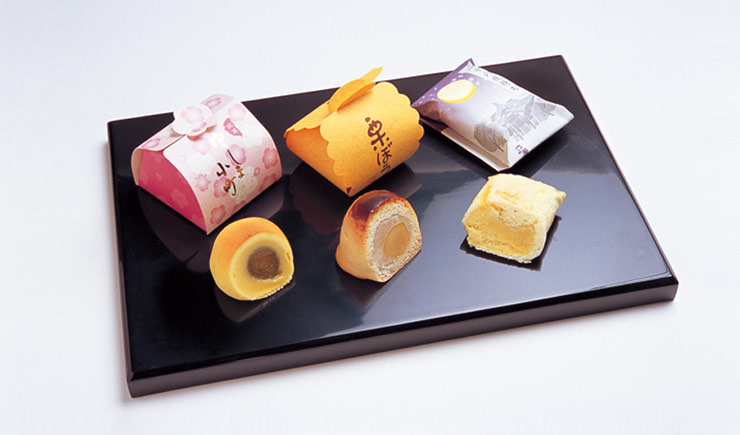 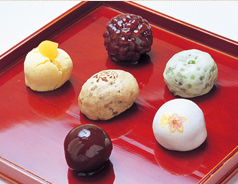 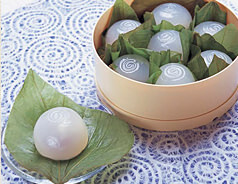 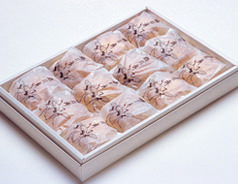 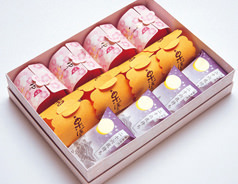 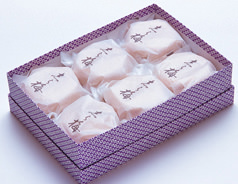 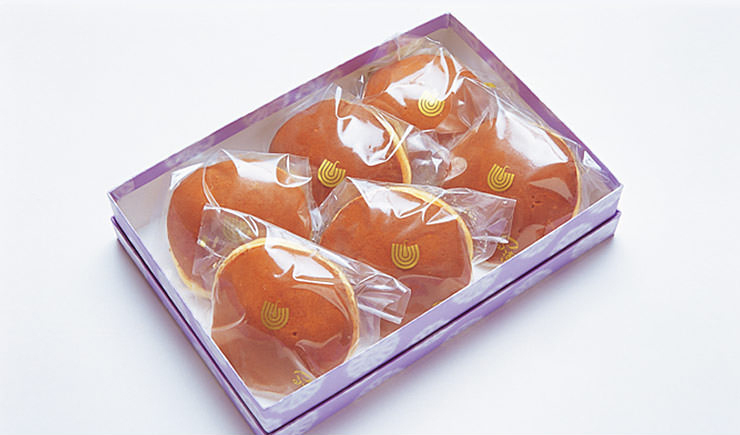 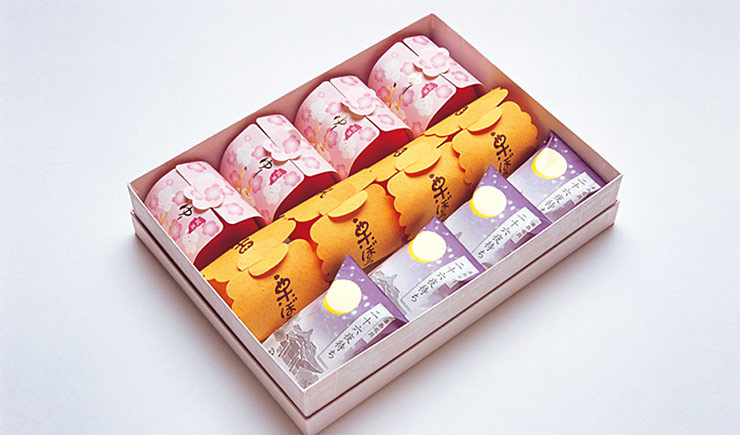 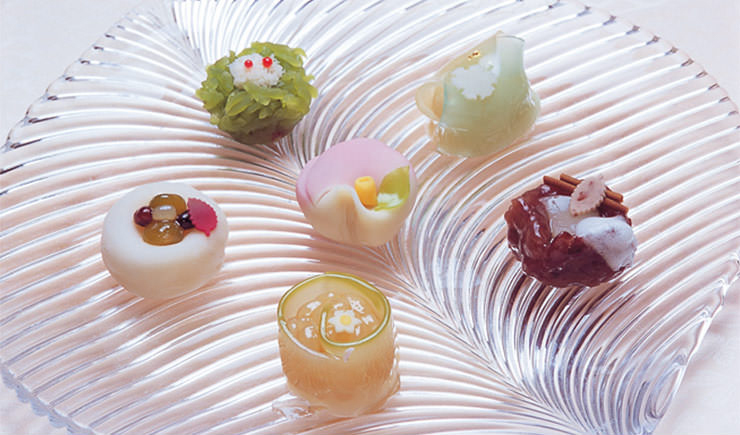 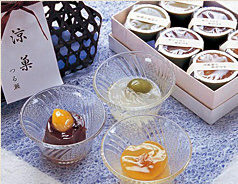 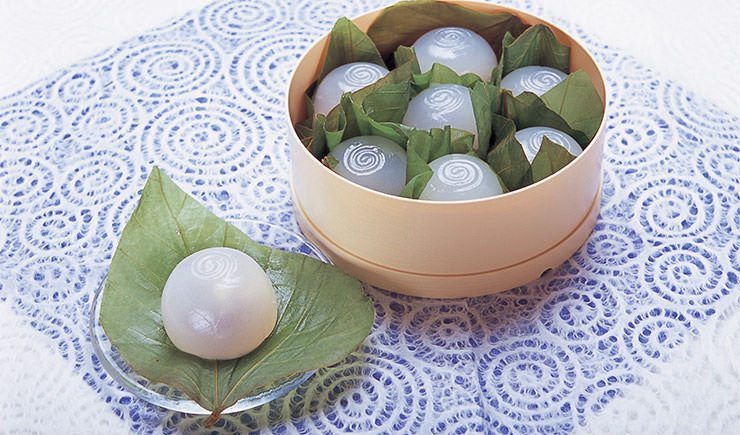 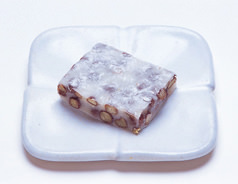 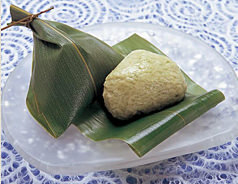 ・Kuribou – A traditional favourite featuring the sweet taste of chestnut compote. 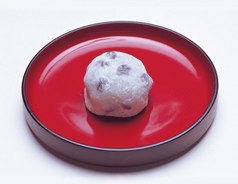 ・Nijyurokuyamachi – A nostalgic reminder of the Edo period, when people gathered around Yushima Tenjin to observe the full moon. 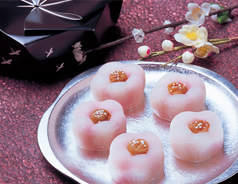 Contains white bean paste blended with egg yolk. 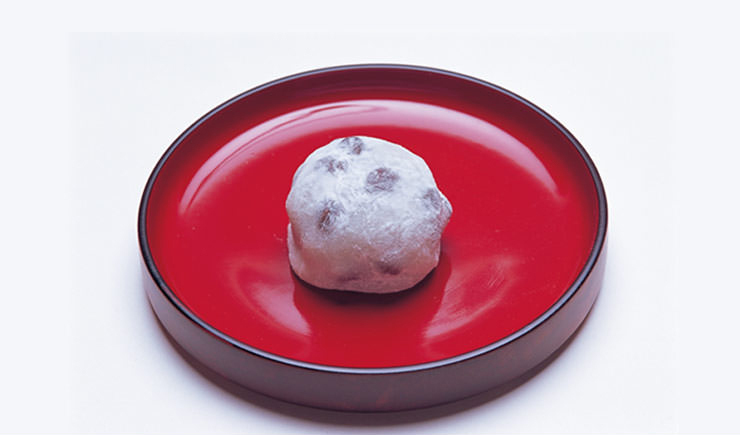 contains egg yolk mixed with a little rice powder, smooth azuki bean paste. 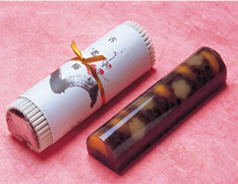 contains cowpea paste and gyuhi. 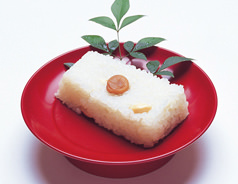 contains cake mixed with white granulated sugar and mashed azuki bean paste. 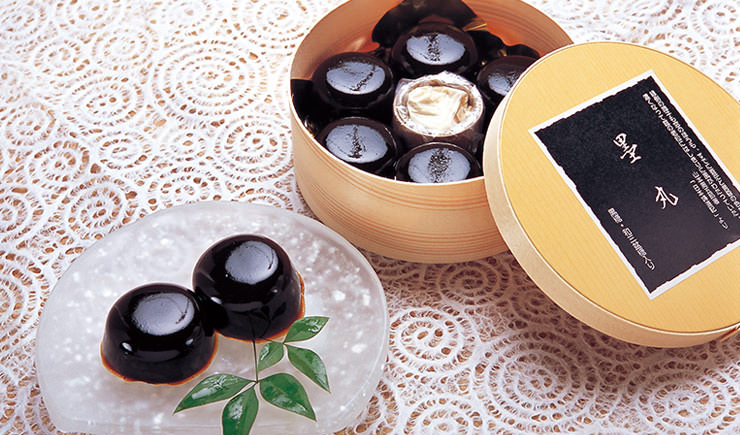 contains cake mixed with Jyoyo imo and smooth azuki bean paste. 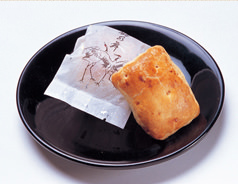 contains brown sugar yokan, smooth green bean paste. 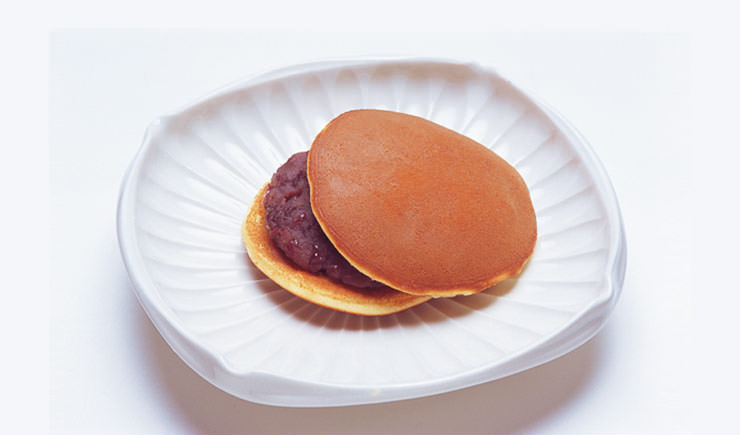 contains cake mixed with brown granulated sugar and mashed azuki bean paste. 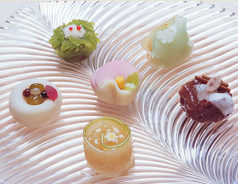 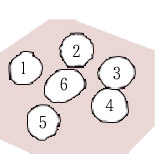 There are always 6 types of confectionery depending on the season. 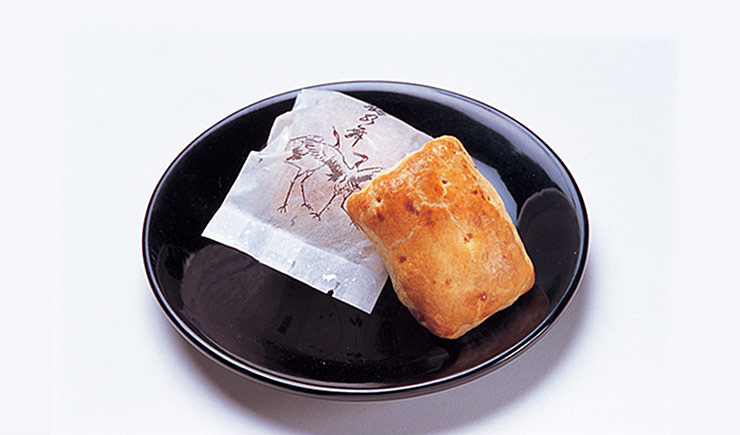 Inspired by the lightness of a crane’s dance, this combines puff pastry with white bean paste blended with egg yolk and mashed chestnut. 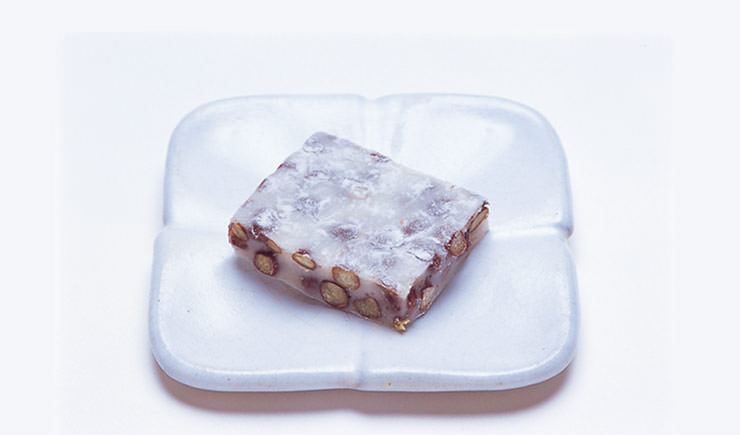 Crafted to represent an ancient tree, this exotic confection combines Dainagon azuki bean and plum jelly with kintsuba cake and chestnut.